How do you grow sunflower sprouts? Start your own seedlings without plastic pots? Should you save seeds? These are just a few of the questions people interested in homesteading ask themselves. They’re also topics that the managers of Vía Orgánica, a regenerative teaching farm and ranch in San Miguel de Allende, Mexico, provide instruction on to local farmers and students. (Vía Orgánica is a sister organization of Organic Consumers Association). Sustainable living expert Marjory Wildcraft, founder of The Grow Network, and Rosana Álvarez, director of Vía Orgánica, recently produced a series of videos at the ranch, on these and other topics of interest to homesteaders and home gardeners. In this first video, Wildcraft and Álvarez share tips on how to grow strong, nutrient-dense sunflower sprouts. The secret, they explain, is to keep steady pressure on the seedlings. Growers at the Vía Orgánica farm accomplish this by placing heavy tiles on top of the trays containing the soil and seedlings. Sunflower sprouts are typically 30 times more nutritious than organic vegetables and are high in protein, healthy fats, essential fatty acids and fiber. 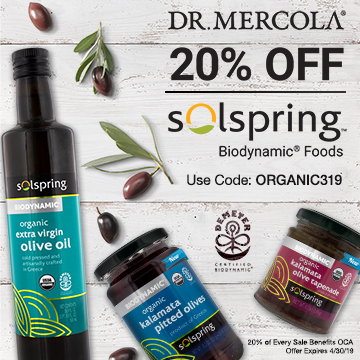 Álvarez credited Dr. Mercola with teaching them how to make the most of their sunflowers seeds, which they use in their restaurants and also feed to their chickens. In this next video, Wildcraft and OCA International Director Ronnie Cummins discuss how to start seedlings without using plastic pots. Cummins grabs a tool showing how you can make soil blocks ready for planting. Eliminating plastic pots is good for the environment. But as Cummins explains, it’s also better for the plant because you don’t disturb the roots when you transplant them into your garden bed. In this third video, Álvarez talks about the origins of a sacred plant called muicle. Muicle is a medicinal plant that provides important minerals including iron, zinc and calcium. It can also be used to make dyes. Muicle, which dates back to the first settlers of Mexico, is still used by the Otomi ethic groups to make beautifully decorated ceremonial tortillas. And finally, in this last video, Wildcraft and Álvarez catch up with Azucena Cabrera, manager of Vía Orgánica’s research and demonstration farm, for a tour of the farm’s large seed-saving library dedicated to recreating the traditions of heritage seeds in Mexico. In this video, Álvarez explains that the main purpose of the project is to “preserve the seeds of our ancestors, the seeds of life and the security of our food.” The seed bank has more than 65 species of seeds, all of which are known to flourish in Mexico’s central highlands. Want to learn more about growing your own food and other homesteading techniques? Join The Grow Network community. Learn more here about Vía Orgánica’s mission to promote healthy eating and a sustainable future. Vía Orgánica operates a store, which buys produce from about 200 local producers, and a restaurant, in addition to running the regenerative farm/ranch and educational center.